"Hi Scott, Here are some old pictures from Walker's Cay when Sidney and I both were much younger men. Sidney had to be in his 20's and I look about 25 pounds lighter in the photo. Like Sidney, I still have a passion for fishing. 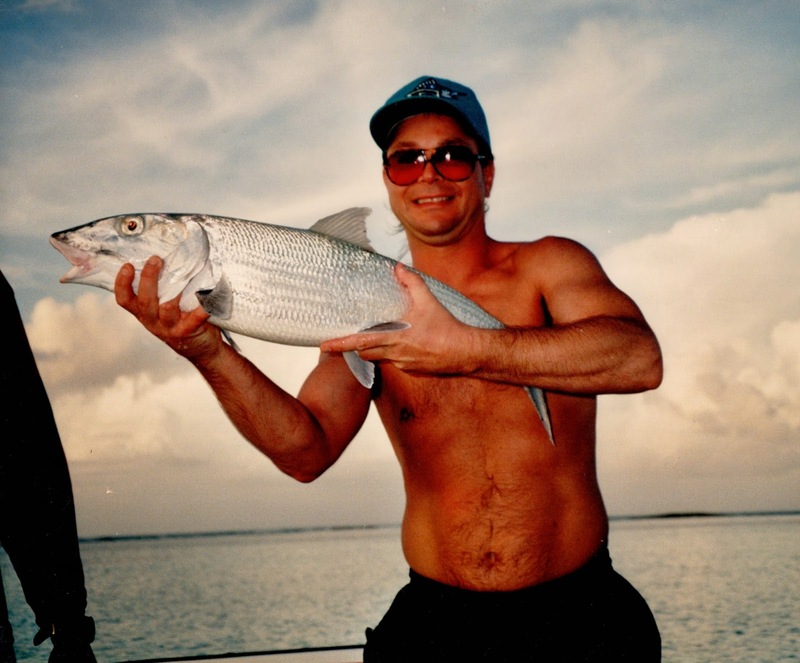 Haven't been out in years due to budgetary reasons, but I hope to someday again roam the Bahamas for that 10+ pound fish. we had run pretty far that morning. We saw a lot of fish, but I was always too late getting to the right place or just never saw the fish. On the way in, Sidney saw a small school with several big fish. They were rooting around in the sand litterally within a couple of steps of shore. I was using a spinning rig so Sidney got into position and had me launch up onto the beach. Without the line ever settling into the water I was able to pull the bait off the beach and right in front of their feeding pattern. As luck would have it, this brute picked up the shrimp and we were able to land the fish. Thanks to these pictures I'll never forget what a great guide and patient person Sidney was that day. 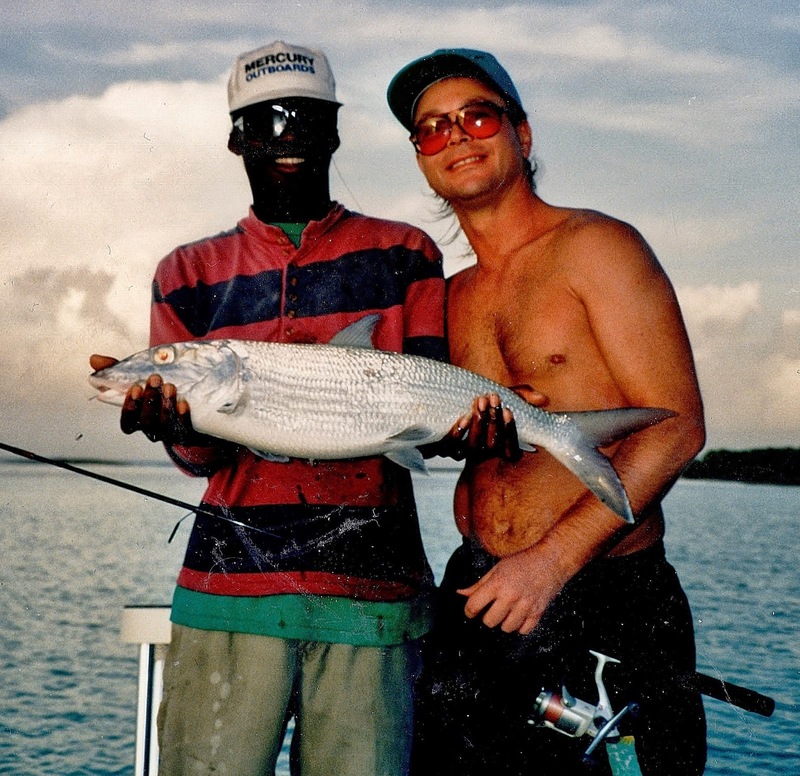 I know that folks fish for years and spend thousands trying to hook a big bonefish like this. It's probably tough to tell from a photograph, but where would your best guesstimate on weight be. It's got a big gut that's for sure. I think Sidney and I decided 12 pounds would be fair. ...very cool Ron, I 'd say that fish is in the 11-12 range. It's a big boy! I'll make sure Sid sees this photo. Sid will get a kick out of this! Opening Day of the Trout Season for Me! Great New Bonefish and Tarpon Flies!